The article below is going to go through the best ingredients that are within the essential oils that you find in most if not even all essential oil products. So if you’ve found a product which tells you that it’s perfect for massaging clients or just massaging your partner, that doesn’t contain these ingredients then I would be quite wary of using such a product. This truly wonderful fruit has many benefits when ingested and in fact when used in massage oils. Many of these astounding benefits include mood improvement, combating depression, fighting addictions and just generally smelling absolutely perfect. It’s probably best if you don’t go out in the sun after using this ingredient in your oil as it can usually irritate your skin in direct sunlight. Not very surprising as this is well known throughout the massage community to provide many of a benefit to all who wish to use it, I say wish as not everyone likes this plant but I’m a personal fanatic of lavender. 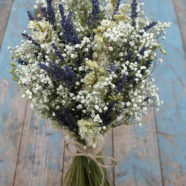 Lavender has many great benefits to your body as it fights against stress, insomnia and is effective for pain relief. But as I said many people are not very fond of Lavender as it is mostly known as the marmite of the massage world. I absolutely adore Vanilla as the smell is extremely attractive to my sense of smell. One of the many amazing things about this essential massage oil is that you can combine it with many other oils to make some of the most gorgeous smells and luxurious additions to your massage. Some of the benefits of using this amazing oil are that it improves mental health, naturally reduces fever as it is an antioxidant and reduces inflammation in the body. Clearly this is a favourite of most masseuses out there. I personally love the warm wood-like smell of Sandalwood and I know many people who do. It’s great on its own but we much like to blend it with Vanilla to make a truly astonishing feel and smell. It has a few benefits for your health and these include being an anti-depressant, fighting anxiety, coughs, colds and finally stomach and digestive pains.